New out this month, 'all for eve' has teamed up with makeup maestro Daniel Sandler to produce a special lipstick, with 100 per cent of the profits going to The Eve Appeal. Eve Red gives a fantastic slick of bright and moisturising blue-red colour. The lipstick has also just won a prestigious CEW (Cosmetic Executive Women) Beauty Award for Best New Makeup product! In fact, 'all for eve' swept the board, picking up four awards, including Best New Brand. Your purchase will not only benefit you as you strut your hot stuff; the money raised will fund research into gynaecological cancer. 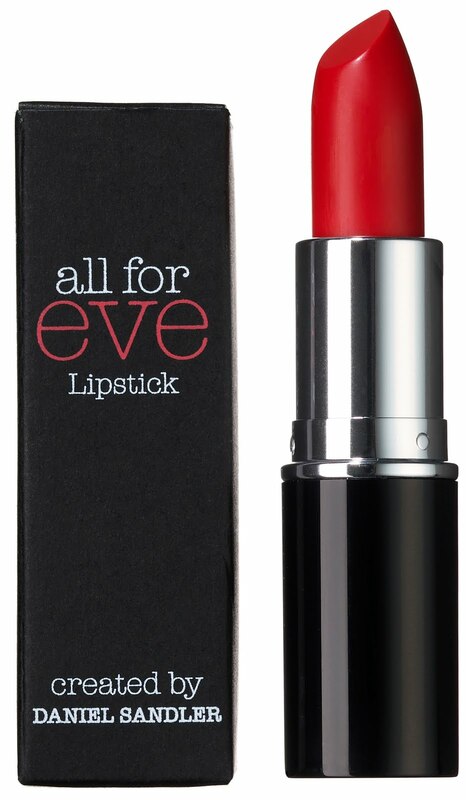 Eve Red is available from 26 April at www.allforeve.co.uk and at Harrods from 1 May.